Break-Away collars and Stretch Safety collars. Available with embroidery or without, and with bells or without! 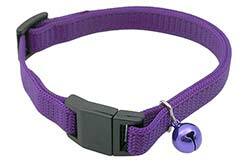 This adjustable cat collar has a special clasp that will pop open to free your cat if the collar gets caught on something. The collar is reusable after release. Comes with a color matched bell that is removable if you prefer not to use a bell. Embroidered with your pet's information. 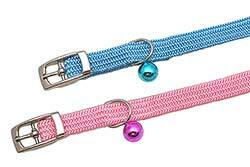 The entire length of nylon weave is stretchy allowing cats to slip out of their collar if they become entangled. 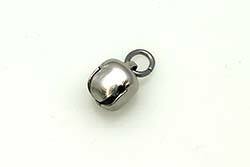 Each collar comes with a color matched bell that is removable if you prefer not to use a bell. 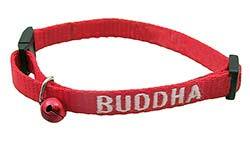 A traditional nylon weave collar, with an elastic band near the buckle that allows the collar to expand to free your cat if it becomes entangled. Add a bell to your order and we'll put it on your cat's collar for you.